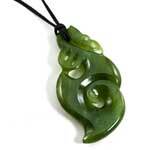 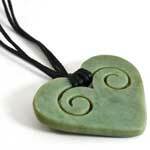 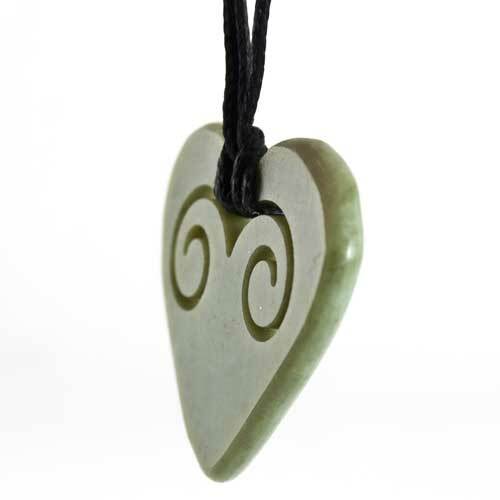 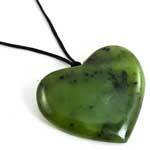 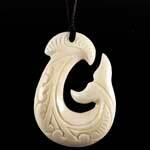 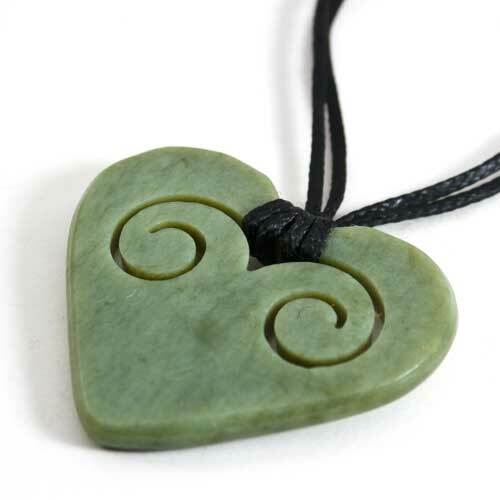 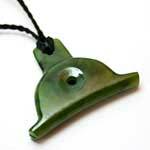 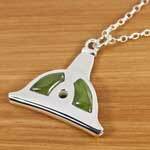 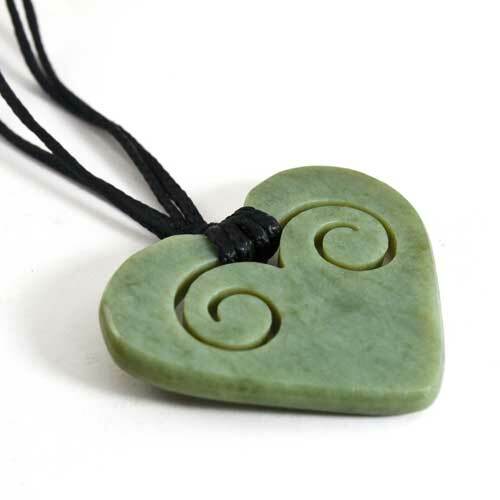 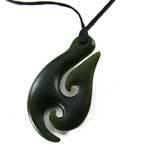 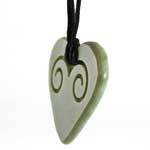 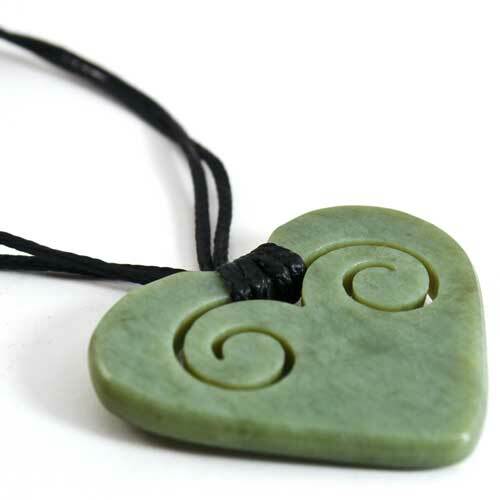 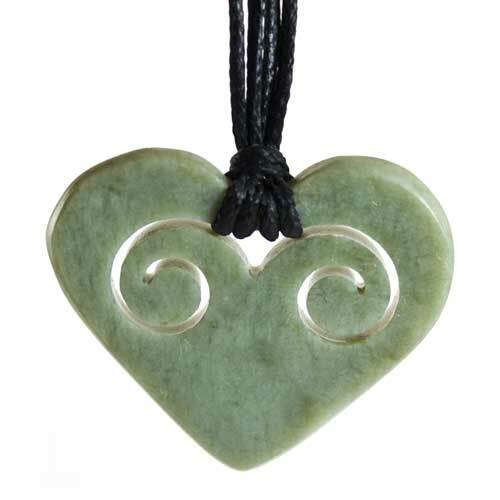 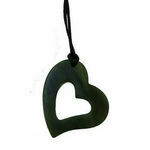 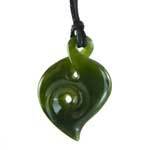 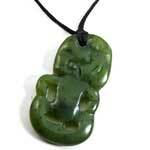 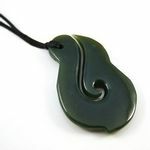 A beautiful heart pendant featuring a double koru cutout fashioned from New Zealand Greenstone/Pounamu. 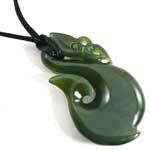 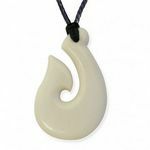 The heart represents love and the Double Koru has been inspired by the unfurling fern frond, however in a spiritual sense the Maori use the Koru to represent peace, tranquillity, personal growth, positive change and awakening. 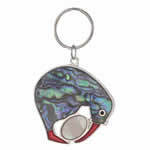 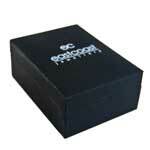 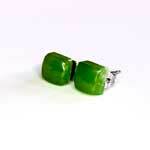 Presented in a black presentation jewellery box and hung on an adjustable black nylon cord.